Email marketing is an efficient and inexpensive part of the online marketing mix. In a survey by the German Federal Association of the Digital Economy (BVDW), 84 % of all those questioned indicated that they use email for online orders (more information on this survey is available through the Focus Group E-Mail in the BVDW). 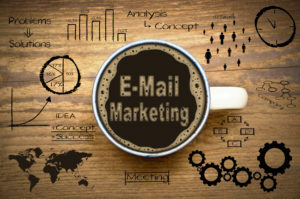 For small and medium-sized companies without huge resources or budgets, it is easy to set up an email marketing program to inform customers and prospects about current products and services. But it’s not as simple as all that. To make sure that the advertising messages reach the recipients, it is not enough to simply “go for it”. Not every email that is sent actually lands in the receiver’s inbox. Some emails are directly rejected by the mail server, and others are delivered to the spam or junk folder. This guide explains how simple measures can be implemented to build your email marketing in such a way that the emails actually get to the receiver.